It's been a year and a half since I posted my last Dakota story. I made that story when she was five months old, and now, Dakota is two years old as if March 26th. She grew up a wonderful dog. She's very prey driven, intelligent, and she's tough as a nail. 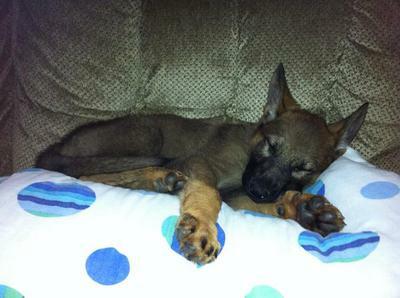 Dakota grew up to be a gorgeous sable, and I couldn't picture my life without her. She is very smart, and still loves babies and children with a passion. She's very protective of her handler(me), and still acts like a puppy! Her favorite toy is still the ball. Dakota is 73 pounds now, a purebred working line German shepherd. 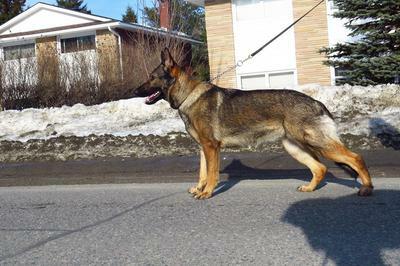 Thanks so much for catching us back up with your beautiful female sable German Shepherd, Dakota. She has matured into one beautiful little lady. We love the pictures too. Wow, she is absolutely stunning! I wish you nothing but the best of luck with her - and if you want to give us another update on her in the future, please do so.